Orr Shalom is one of Israel’s largest non-profit organizations that works with children and youth at risk, whom have been removed from their homes due to abuse and neglect. Orr Shalom was founded in 1980, and has since steadily developed and grown. 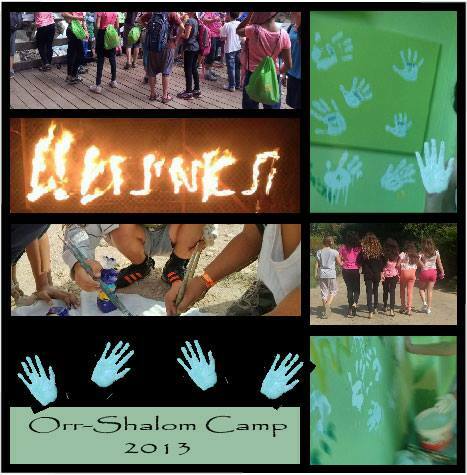 Today, Orr Shalom cares for for 1,300 children and youth at risk, all across Israel, from the ages 0-18 and older. These children and youths come from all walks of Israeli society, i.e., religious, secular, Jewish, Arab, children with special needs, children born of citizens and children born by immigrants. Orr Shalom’s vision is to make it possible for Israeli children and youth at risk to grow up within a healthy therapeutic framework, through which they are given the opportunity to discover their potential, feel loved, protected and respected. Orr Shalom is committed to finding a home for each individual child and to help the children break out of the vicious circle of of abuse, thereby enabling them to make a positive contribution to Israeli society. Orr Shalom was founded by Gottfried Müller (1914-2009), who had always dreamt of transforming the lives of young Israelis in distress. He solicited a young couple and persuaded them to start a home in Israel. At the time, children and youth at risk who were removed from their homes were sent to large youth villages, but this couple believed in another and more home-centered solution. The married couple found ten children to care for and approached the Social Ministry, which after some persuasion allowed them to start the first ‘Therapeutic Family Group Home’. After just six months, the Israeli social ministry noted that the children made surprisingly good progress, and in 1980, Orr Shalom was officially founded. Today, Orr Shalom has 24 ‘Therapeutic Family Group Homes’, of which Danish-Jewish Friendship supports two in particular. Each home houses 7-11 children aged 6-18, and each home is led by a married couple, who live in the house together with the children and act as the parents of the home. These children have been victims of mental, physical, and/or sexual abuse. They have been robbed of love and often feel alone, ignored or fearful. To care for them, each individual home has a psychologist, a social worker, and an academic tutor affiliated, as well as other counsellors. Their shared goal is to provide the children with the opportunity to benefit from a supportive, therapeutic environment, thereby providing a chance for a better future. The 24 homes are located in Haifa, Holon, Orr Yehuda, Abu Ghosh, Jerusalem, Mevasseret, Ma’ale Adumim, Ashkelon, Be’er Sheva, and Eilat. When individual cases allow, Orr Shalom seeks to place children locally so that they can remain in familiar educational and social settings. The homes are open and the children are encouraged to take part in activities outside the home. While Orr Shalom’s homes create a safe and warm environment, the children are also taught limits, and begin to understand that they have responsibilities as well as privileges. In many cases, the children are experiencing their first dose of a healthy family life, in which they learn what is normal behavior and learn what it means to thrive in a devoted, safe and stable environment. In other words, they are allowed to observe and experience that being part of a family unit can be a positive experience.